KAESERCompressed Air Blower work as Quiet powerhouses – from vacuum to low-pressure operation. 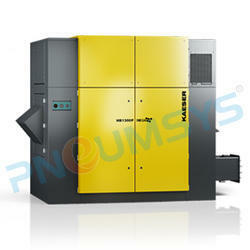 Rotary screw blowerswith the energy-savingSIGMA profile– designed by KAESER for optimal pressure and output. Plug and play set-up saves time and money. Blowers with integrated controls result in considerable savings for planning, installation, commissioning, data communication and certification. COMPACT blower with sound enclosure. In the STC version, units can be installed side by side, as maintenance access is at the front and air connections are located at the rear. Kaeser Compressed Air Blower required True powerhouses with low maintenance requirement. Kaeser Compressed Air Blower with their uniform design concept units can be individually configured and expanded to meet your needs. They are easy to maintain and operate, and are also available upon request for outdoor installation. 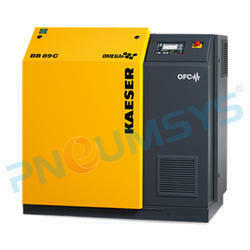 KAESER Single Block Rotary Compressed Air Blowerprovide maximum flexibility. The OMEGA series blower with their three-lobe rotors minimise pulsation and include a wide range of rotary lobe blowers for stationary and mobile applications. They are rigorously tested at full load , manufactured in state-of-the-art and climate-controlled CNC production facilities. Heavy-duty cylinder roller bearings completely absorb the continuously changing radial gas-forces that are exerted on the rotors. Service life of up to 100,000 hours is possible with the included bearings. Precision manufacturing we achieve minimal flank clearance, which results in reduced capacity losses through gap losses. 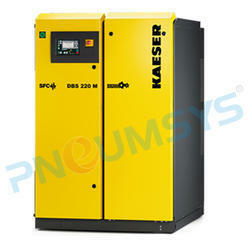 Kaeser Screw Compressed Air Blower is Unrivalled Energy Saving & Uncompromising Efficient Product. New rotor technology benefits customers in the areas of municipal and industrial waste water treatment as well as flotation and fluidization, where blowers are in constant operation.